S.O.S. is the call for emergency used by ships in danger. Comes translated in three points, three lines and three points in the Morse alphabet and literally means "Save Our Souls". We have chosen to use this silent cry of help to give also a message to rediscover the people of the sea. 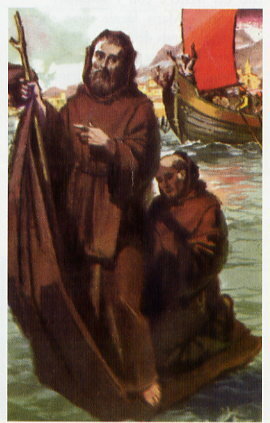 We have tried for many years to communicate with the people and the city, to make understand with gestures and words the abandonment, the poverty, the inactivity and the loneliness of hundred, thousand of seafarers forfeited with their ships disseminates in the harbors of the world: in vain. Seafarers, today more than yesterday, are ghosts, that daily skim our cities, they get out of their ships to sign off or to make a fast phone call home, then they disappear immediately inside their steel hull like cockroaches struck by light; always "foreign in each port." A Tour of awareness is organized by The Apostleship of the Sea on the problems and the emergencies of the maritime world; also a support to the existing "Stella Maris" where they already exists or on the point of developing new ones. The activity consist of a Tour departing from Trieste, center of the Bishop Promoter, calling at 24 of the most important Italian ports. Scholastic activities with contests will take place, five different levels according to the age of the students, would help them to recognize the human aspect of the port and of the emergencies that daily involves seafarers. It seem unbelievable not realizing that these tragedies are consumed a stones throw from our houses, in an indifference that is daughter of the ignorance. All the activities will have an unique background of more than 20 photographic tables by Stephen Schirato that he has published, also with our help, the book: " Ne in cielo ne in terra"(Neither on land neither at sea" (Publishing Silvana) on the theme of the arrested ships. The schools, whose work will be exposed in several cities, will be able to have a real interactive visit with the show asking question and leaving their impressions in a special video box. The students are invited to come to see the show, meet any seafarer (if present), participate to the workshops (of photo with the author of the book or of music and dance with the entertainment composers), speak with the national officials of the Apostleship of the Sea and with the volunteers of the local Stella Maris; visit the stands of the associations that devote themselves to the people of sea, view a film, leave their impressions in a video box and finally participate to the award of prizes for the contest in which they are involved. 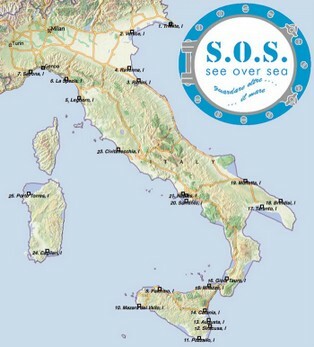 A national contest, involving young artists in Italy to help us to launch a SOS (theme of our tour), a cry of help to our port cities that they live the relationship with their own harbor, their reality, their problems like with a parallel and separate world from our own reality. During the day in each port a Round Table will be carried out with civic and religious authorities on the topic of the value of the seafarer as a person. The ITF, the international labor union of the people of sea, will give a practical contribution presenting data and concrete denunciations on the realities of local dockworkers. Finally, two artistic activity of high level to "make see" as much as possible the reality in which seafarers and their families live. A video and a music show and dance produced specially on this matter by professionals artist will close the long and certain fruitful days of meeting and sharing on this reality. Is to send out a true S.O. S., a cry of help to our port cities that they live the relationship with their own harbor, their realities, their problems like with a parallel and separate world from their own reality. It seem unbelievable not realizing that these tragedies are consumed a stones throw from our houses, in an indifference that is daughter of the ignorance. The cities of the more important port in Italy will be invited to stop few hour to meet and know these ghosts of the sea. The event looks at a multiplicity of subjects: institutional harbor officials, cultural places of the city, schools, and diocesan community, young people and harbor associations. With messages and different languages; some of them in fact have an active role and institutional duties, also if at times not act on, like: immediate answers in terms of services, realization of infrastructures of support, a Christian community that becomes spiritually and pastoral near. Other instead must be sensitized to get out of that ignorance of the facts and of the relative problems that feed the indifference and increase the sense of loneliness of whoever is in need. The sensitization of the seconds could become push for the first. If the problems apparently don't exist, I could avoid the duty to resolve them; if I am to the contrary under the eyes, and possibly in the heart, of many I could not continue to elude them. 3. Favor the acquaintance and the cooperation between associations and groups, religious and secular, that for different motives are connected to the people of sea and encourage the experiences already existing to a local and national collaboration in the construction of a big "national net." Two equipped campers will travel from Trieste to Palermo to Cagliari driven by the national director of the Apostleship of the Sea and by the volunteers and artists that will share 33 days of tireless job. It will be an adventure that we hope how much more people will share with us. At times will have Italian and foreign seafarers as guests, some also from the ships arrested for a direct comparison and a handshake that allows a new encounter between "land and sea."